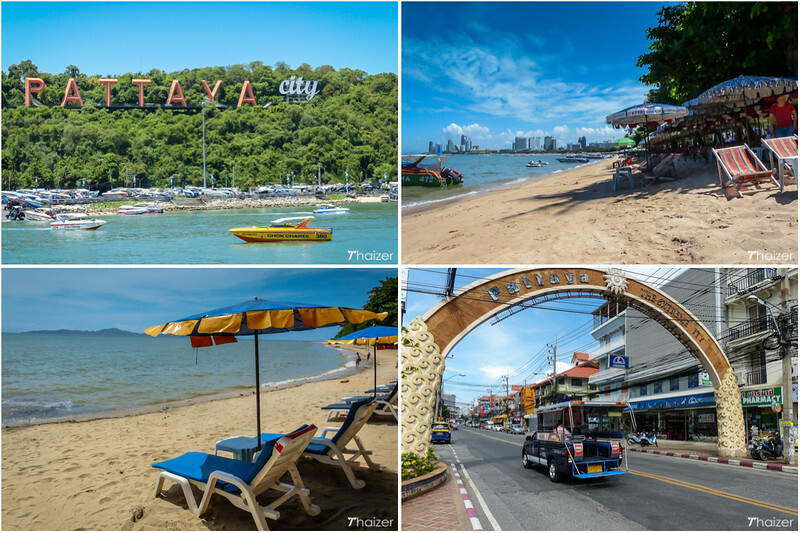 Pattaya might not be the most attractive seaside resort in Thailand, but it is undeniably one of the most popular. Attracting visitors from around the world, the resort is lively and cosmopolitan. 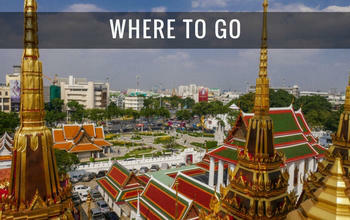 The proximity to Bangkok also makes it a popular weekend destination for those living or working in the Thai capital. Pattaya certainly has its critics and some of the brasher nightlife won’t be to everybody’s liking. However, the many repeat visitors to Pattaya can justifiably say that the resort has a great location, is easy to get around and enjoys some world-class hotels and facilities. 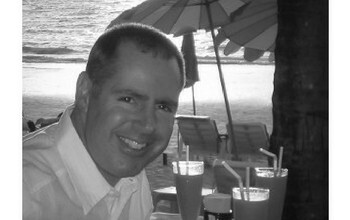 The city is a melting pot of all nations and people from all parts of Thailand. Although the bar scene and neon lights of Central and South Pattaya are prominent, the resort has much more to offer. As the name would suggest, this is an excellent location close to shops, restaurants, nightlife and the beach. There are plenty of accommodation choices in central Pattaya, but if you’re after a quiet night it might be best to avoid some of the rooms available on Soi 6, 7 and 8 because it does get very noisy at night. The area that encompasses Walking Street is South Pattaya. Like Central Pattaya there is no shortage of hotels, bars or clubs. The area of Jomtien is a popular spot for package-tours, families and Bangkok day-trippers. Jomtien Beach is certainly more appealing and less crowded than the beach in central Pattaya. The area of Naklua (and north Pattaya) is very popular with German and Scandinavian visitors. There are plenty of bars and restaurants, but the entertainment isn’t as full-on as it can be in South or Central Pattaya. The further north you head into Naklua, the more it has the appeal of a more traditional Thai town. The market and fishing boats are places where few tourists tend to go, but are well worth a visit. Nong Nooch Tropical Garden and The Sanctuary of Truth are both recommended daytime excursions. A trip to the Pattaya Viewpoint offers excellent views over the Pattaya coastline and should be combined with a visit to the nearby Big Buddha. Pattaya’s ‘Floating Market’ and the Khao Kheow Open Zoo are also popular tourist attractions. Pattaya is world-renowned for its nightlife. Whilst it can be brash and noisy, it can also be a lot of fun. 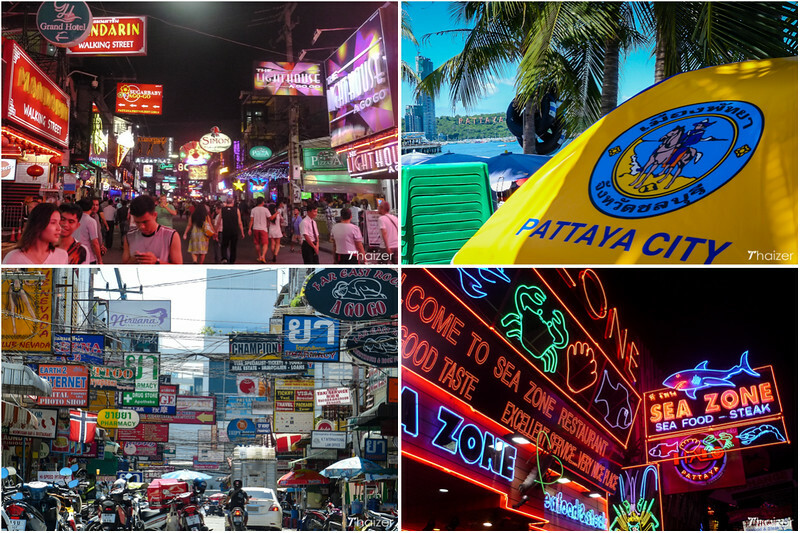 Pay a visit to Walking Street at the end of Beach Road in South Pattaya, find an open-sided bar, have a cold drink and marvel at some of the sights you will see! For a change of pace, head to the charming little island of Ko Samet further along the coastline. Closer to Pattaya is the island of Ko Larn (or Coral Island as it’s often called) which can easily be visited as a day trip. For golf enthusiasts, Pattaya makes a superb base to enjoy some of the world-class courses located within an hour’s drive of the resort. If you like fishing you are also very well catered for in Pattaya and the same is true if you want to try your hand at windsurfing, diving, bungy jumping, jet-skiing or paragliding. For families, the water park at Jomtien is a very popular choice. The easiest way to get around in Pattaya is by songthaew (or baht-buses as many expats call them). The fare is 10 Baht for most destinations (at least 20 Baht if you’re travelling to or from Jomtien). They are also available for private hire by negotiating a price beforehand. From Suvarnabhumi airport in Bangkok, the taxi fare to Pattaya is 1,400 Baht with a journey time of around 1.5 hours. From Don Muang airport, fares should be similar with a slightly longer journey time. From Bangkok, the most frequent buses leave from Ekamai (Eastern Bus Terminal) and Mo Chit (Northern Bus Terminal). Buses run approximately every 30 minutes and the fare is 120-130 Baht. There is also a far less frequent service from Sai Tai (Southern Bus Terminal). 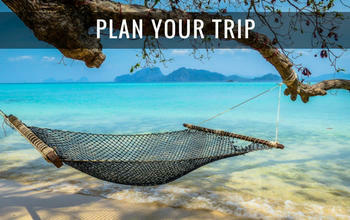 There are a number of options to get to Pattaya from Bangkok’s Suvarnabhumi airport. There is just one train a day to Pattaya from Bangkok Hualamphong station. The service runs Monday-Friday leaving Bangkok at 06.55 and arriving Pattaya at 10.18. The train station in Pattaya is situated in the east of the city, quite a distance away from most of the tourist areas. The current fare is 31 Baht. The nearest airport to Pattaya is U-Tapao situated 50 km to the south on the way to Rayong. U-Tapao is a military airport, but is also used commercially by Bangkok Airways to fly to and from Phuket and Ko Samui. Bangkok’s international airport (Suvarnabhumi) is a 1.5-2 hour drive from Pattaya. 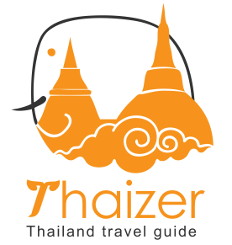 U-Tapao airport is increasingly being used by domestic carriers including Air Asia and *Kan Air with direct services from Pattaya U-Tapao to a number of destinations including Chiang Mai and Udon Thani. *Kan Air suspended all their services in the first half of 2017. Temperatures in Pattaya remain fairly consistent throughout the year, averaging a warm and humid 27-28C. 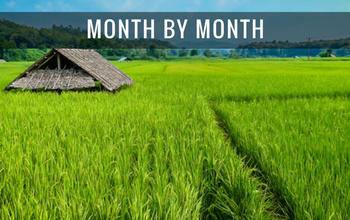 The hot season runs from March-May and the rainy season is June-October, with July-September averaging the most rain. The cool season is from November-February.